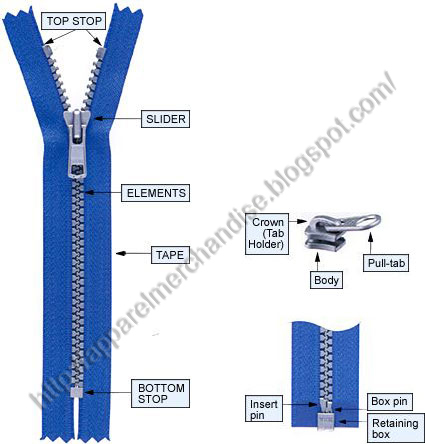 Zipper is the most common accessories item for Garments. Mainly it is used in Denim Pants, Jackets, Jogging suit, Bags. We used the zipper in knitted sweat shirt & sweater also. There is several different quality of zipper in market which is used for different type of garments. We will discuss the regarding the zipper category in our next post. 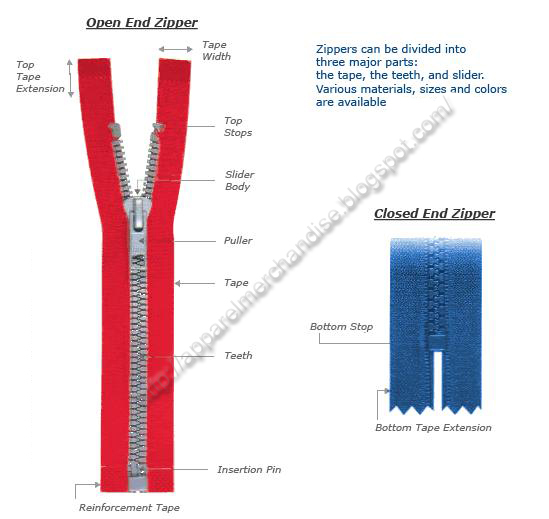 The slider joins or separates the teeth when the zipper is opened or closed. Various types of sliders are available depending on use. Its a very useful things for merchandiser who should know about detailing on zipper.